Some of these photo blitz were not taken today, but I have felt that those pictures chosen are the best fit for this assignment. Take a picture of anger, or something that makes you angry. Make a silhouette by aiming the camera into bright light. Smooth, rough, dirty, or wrinkled. Make a photo of hands that tell a story. Includes a “finished product” and at least one of its “raw materials”. 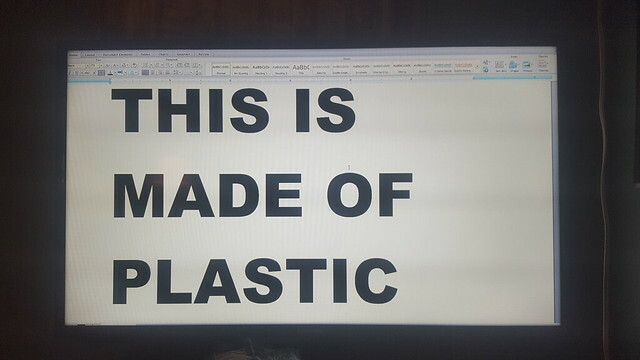 Make a photograph of a plastic object. Take a photo that makes use of converging lines. If you do not know what this is its ok. 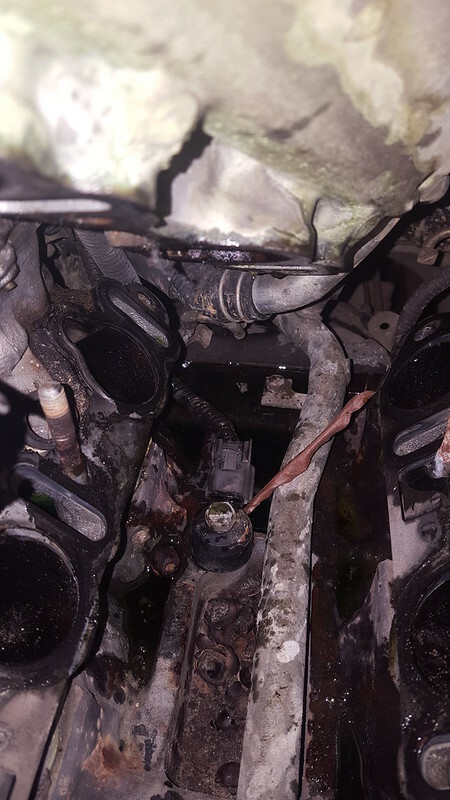 This is a knock sensor for a 2003 Nissan Frontier Supercharged. It is a total PITA to get to, took two days to disassemble and then reassemble, only to discover more problems. These engineers were not very nice to those who want to wrench on their own cars. Even better than water here is tea. 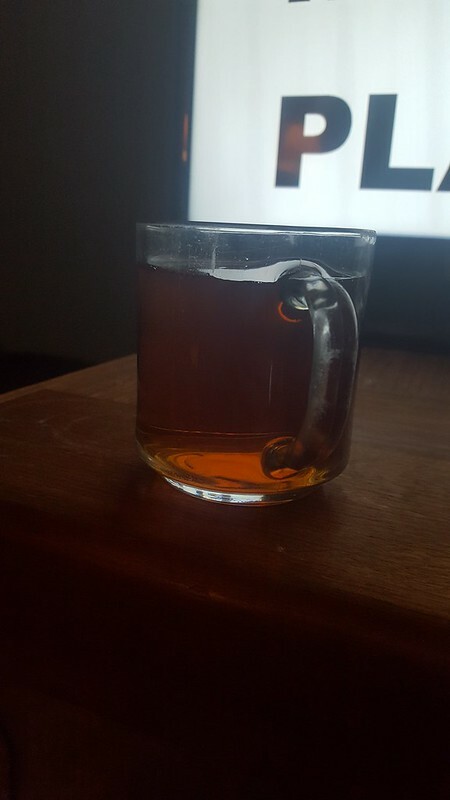 Specifically it is Bigelow Earl Grey which is my go to black tea. I drink this more than actual water so it is vital to my survival. 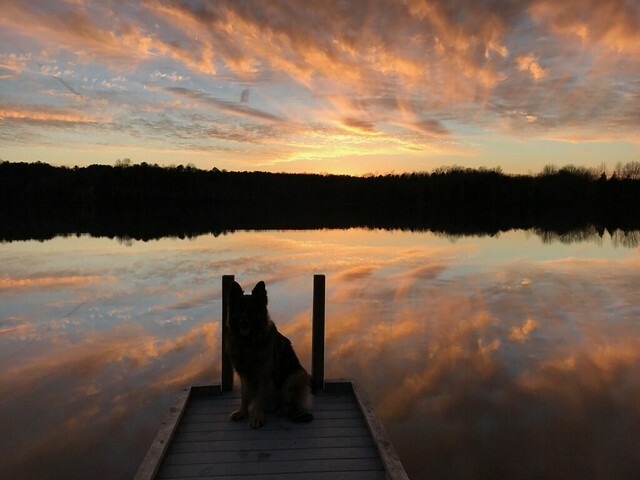 Here is my dog Klaus sitting nicely silhouetted on a dock against the twilight and local lake. Proof I know a thing or two about photography, but again it’s not perfect. 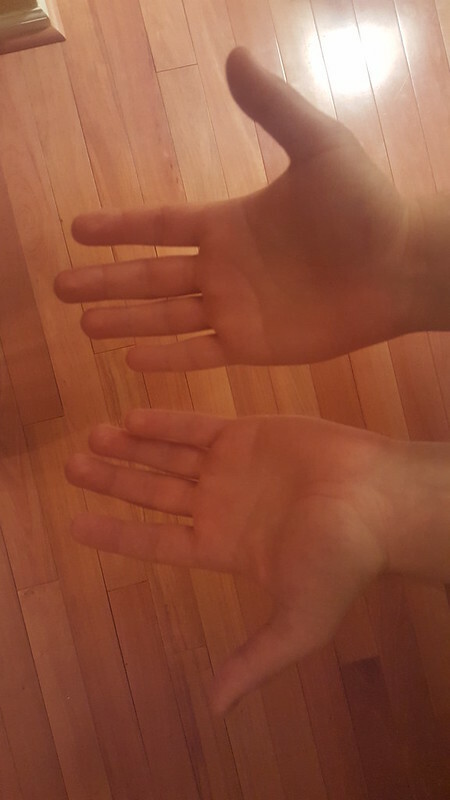 Here are my hands. Currently the story they tell is that of working long hours on CPSC homework, however on the long weekends these are all grizzly and greasy as I wrench on my project cars. 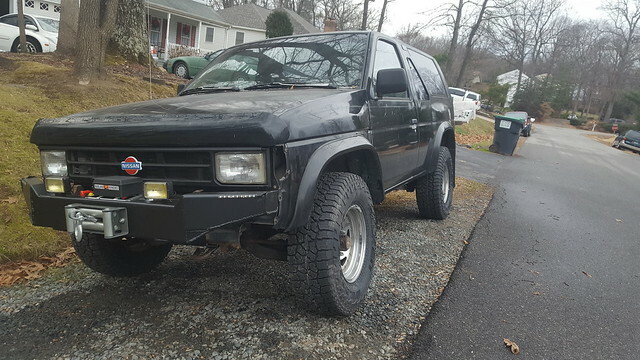 Here is a finished project, my 1988 Nissan Pathfinder winch mount bumper. My brother and I build this bumper together and spent a total of about 40 man hours invested into it. The car itself can be a raw material as it is never completed and turning back into the dirt came from (rust). This is made of plastic. In case no one believes me it says right there. This a TV that is in my room that I use to watch netflix and used to play video games on. 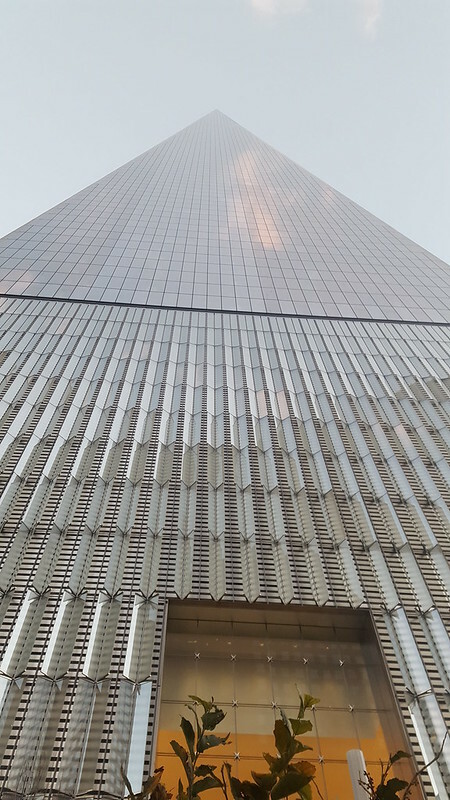 This is a neat photo of the One Tower in NYC when I visited in december. Fun fact the tower is 1776 Feet tall. This assignment was pretty fun. I felt like I had better photos in storage than ones I could take right at the moment. Yes it would be possible to take the photos in the moment, but the quality wouldn’t be there. They are good pictures, but the point of the assignment was not so much about getting the best photos as it was about being creative under a deadline. Sometimes we can find new inspirations in that pressure.